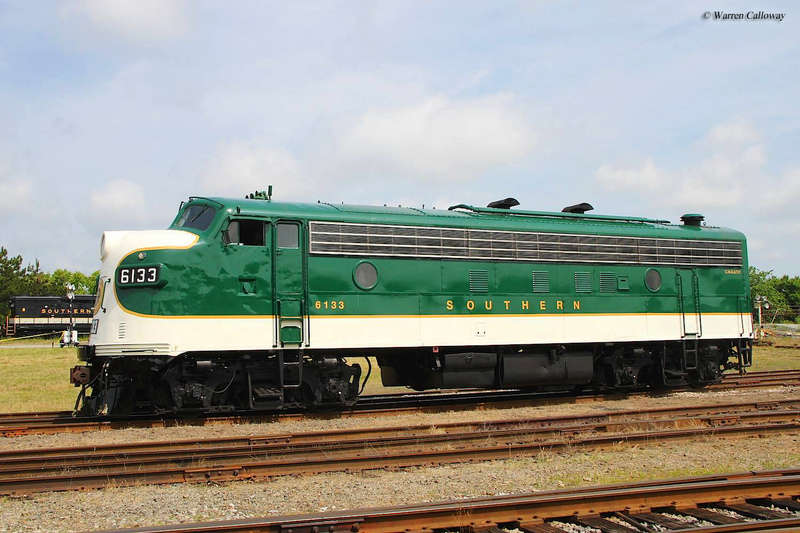 "Streamliners At Spencer" was a special event held by the North Carolina Transportation Museum at its facility in Spencer during one extended weekend from late May through early June of 2014 which showcased twenty-six examples of historic, streamlined diesel and steam locomotives wearing various classic paint schemes from the Southern Railway to the Delaware, Lackawanna & Western. 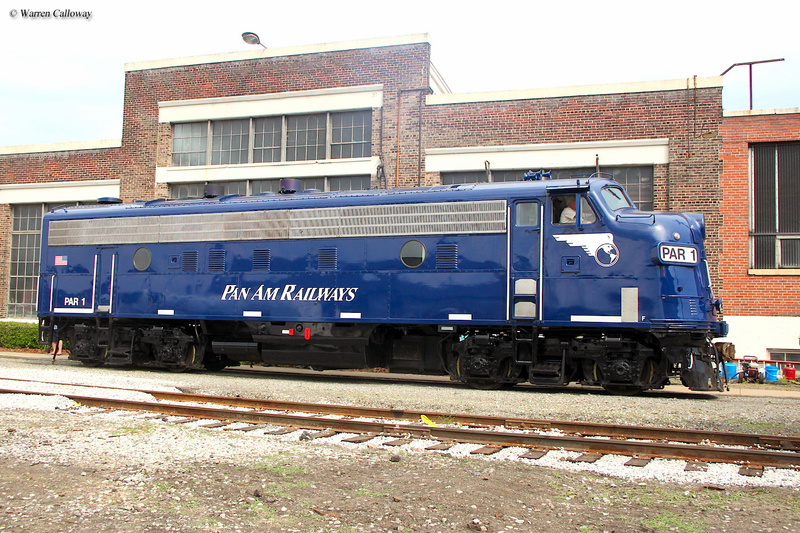 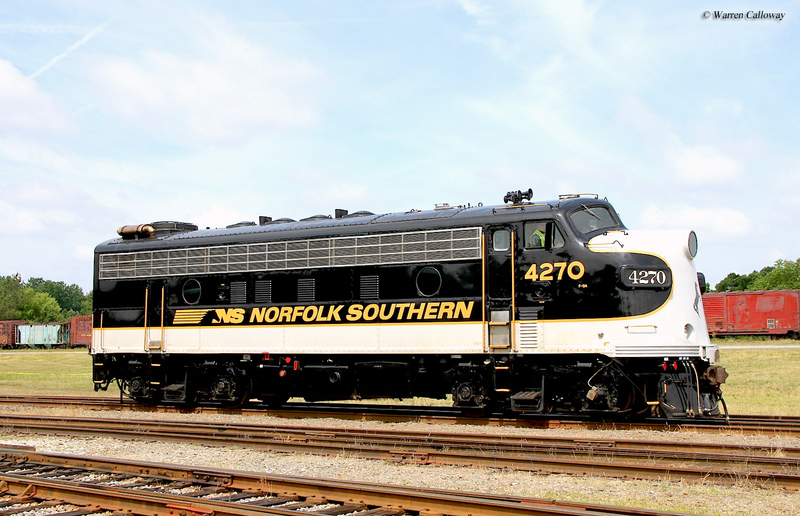 The event was originally inspired by Norfolk Southern's Heritage Program, which featured a one-of-a-kind "Family Portrait" around the museum's large turntable during the July 4th holiday in 2012 displaying its twenty locomotives adorned in authentic, "fallen flag" liveries of the companies comprising the present-day NS system. 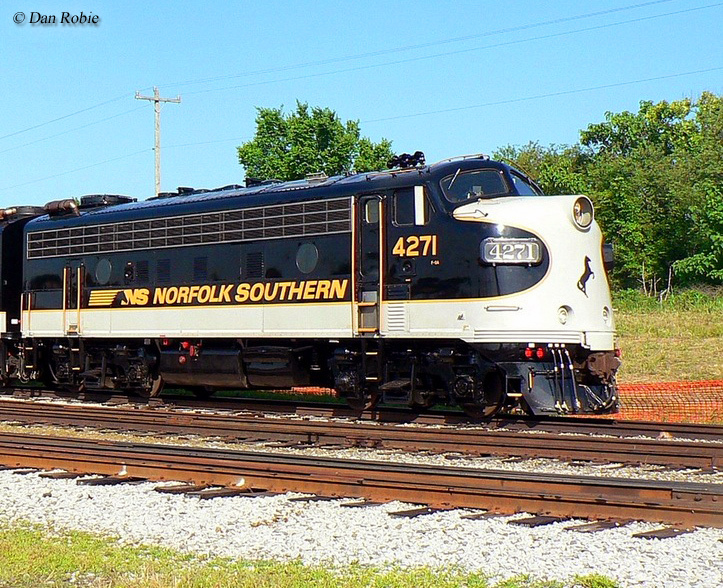 This latest endeavor likely achieved the level of popularity witnessed at the NS event considering the number of rare locomotives that were attendance. 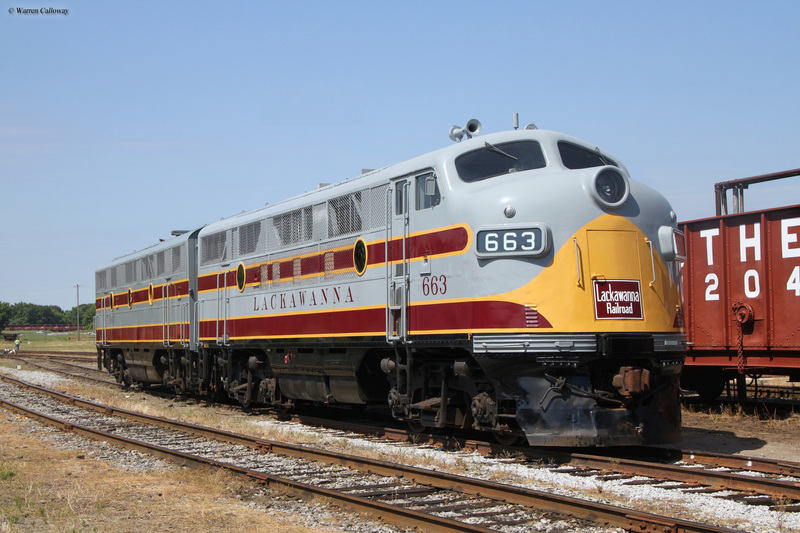 It should be noted that Lackawanna F3A #663 was chosen as the "must-see" diesel by readers of Kalmbach Publishing's Locomotive magazine. 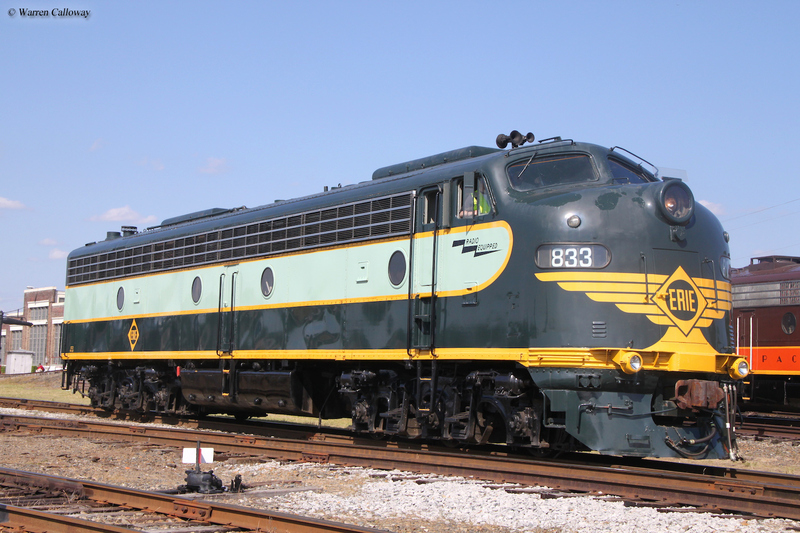 The award included a $1,000 grant, which will be used to help restore the unit's compressor. 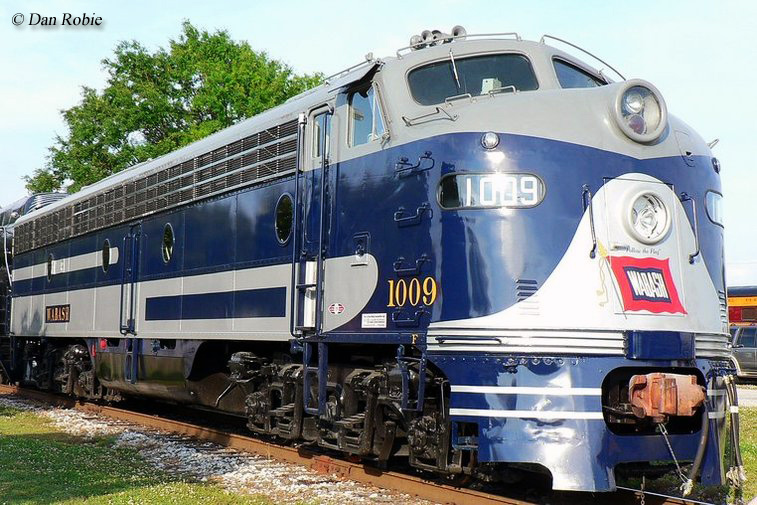 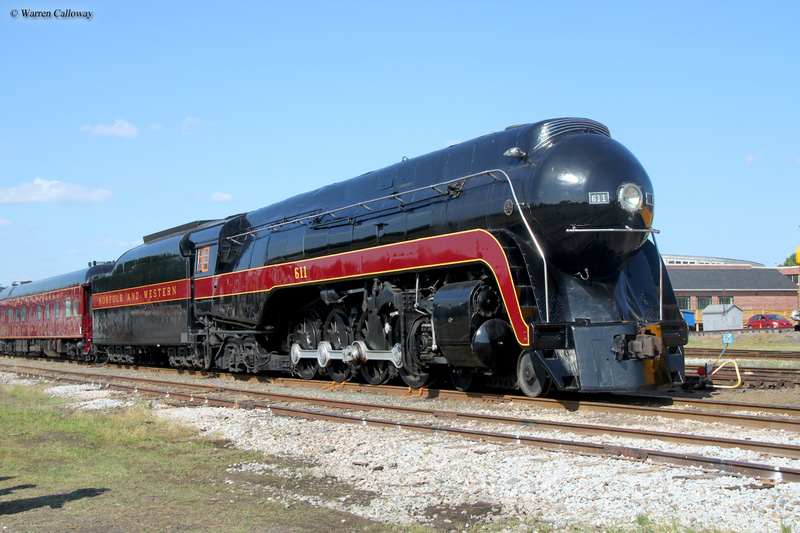 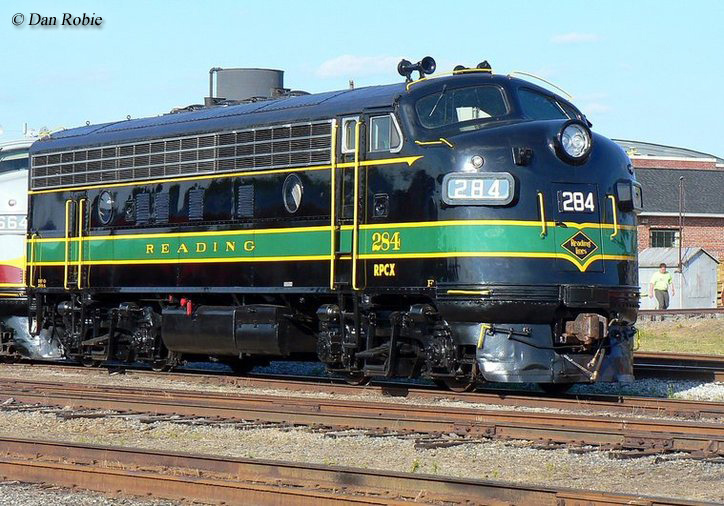 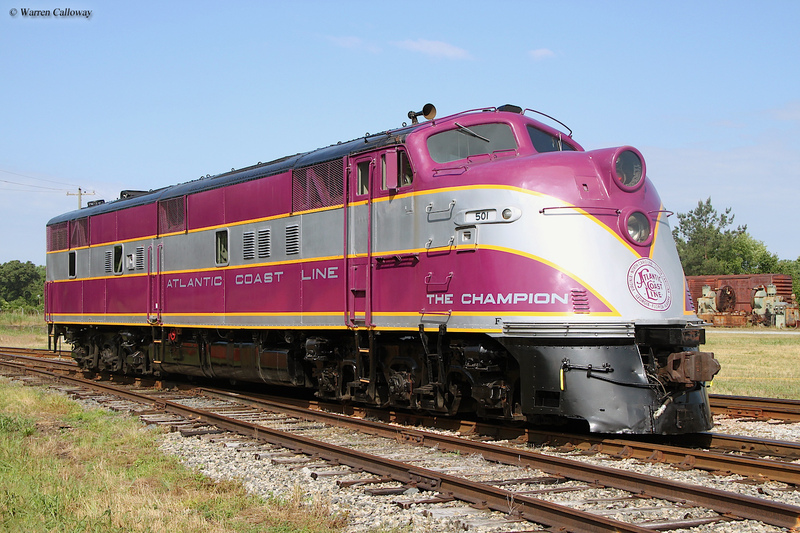 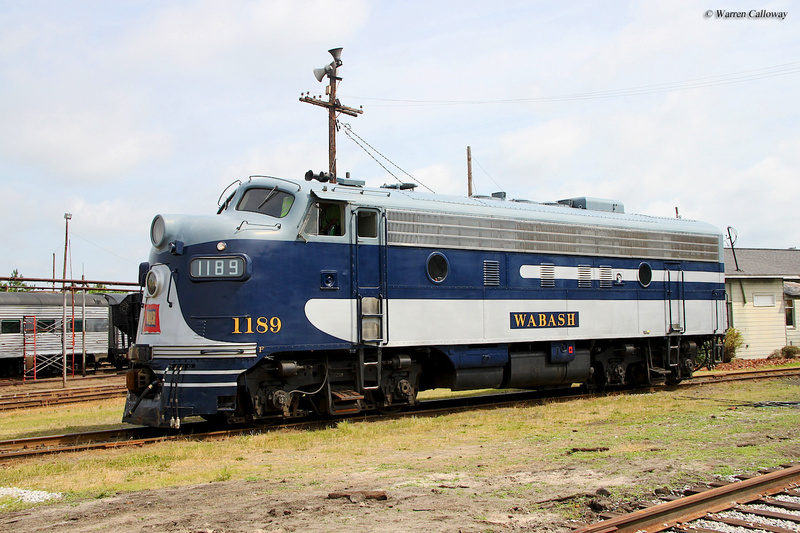 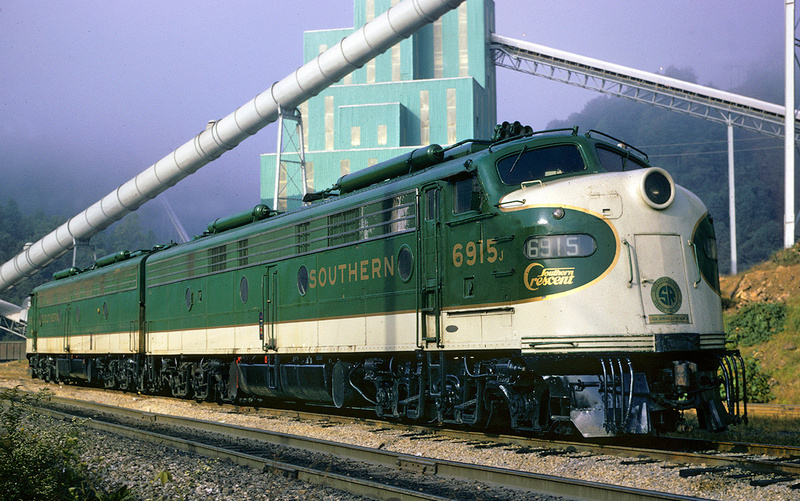 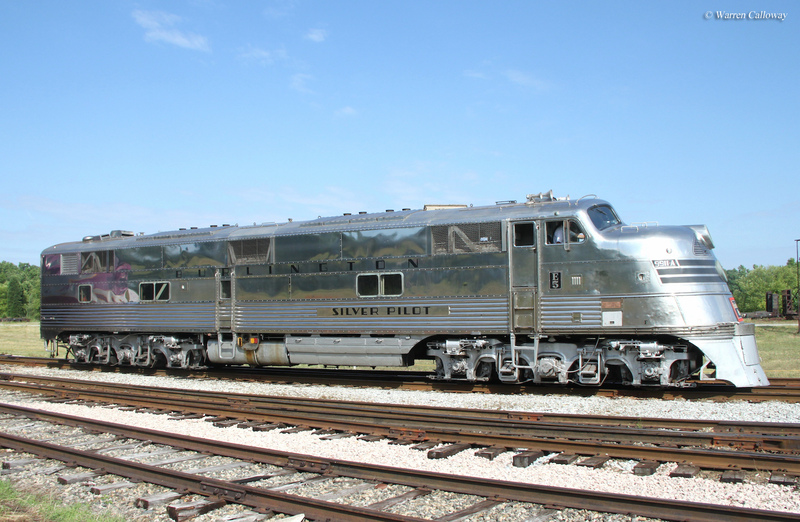 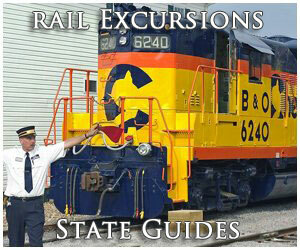 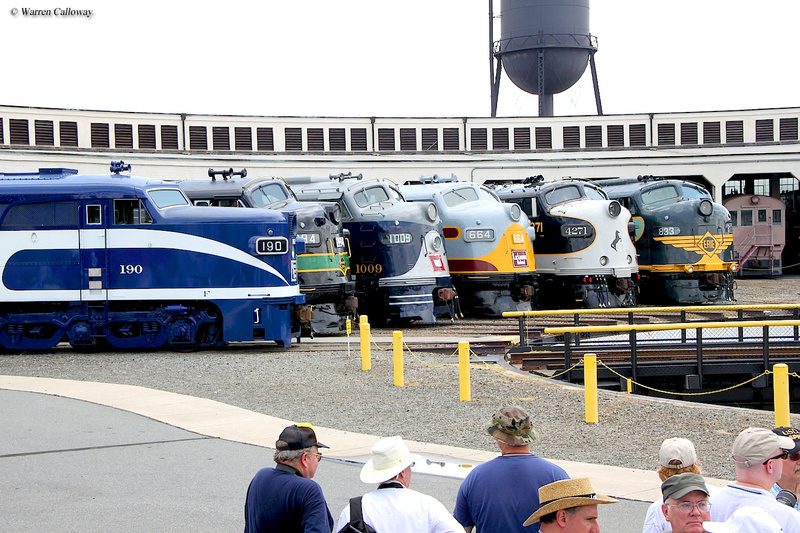 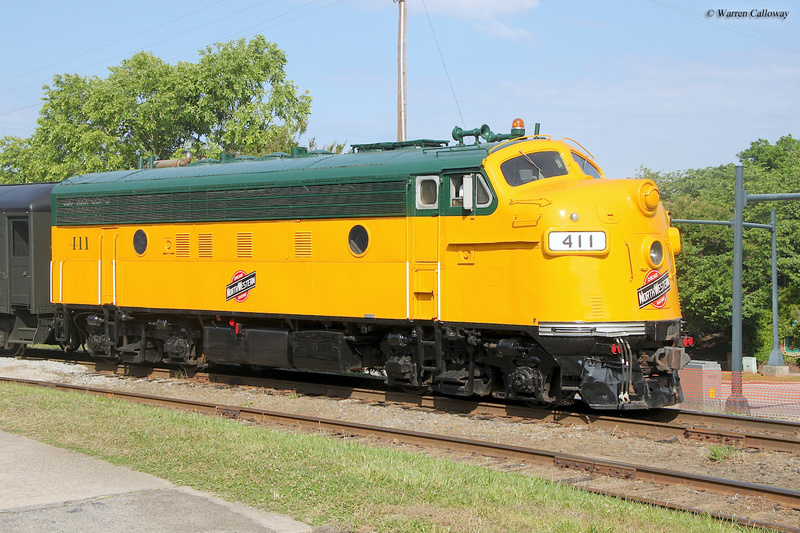 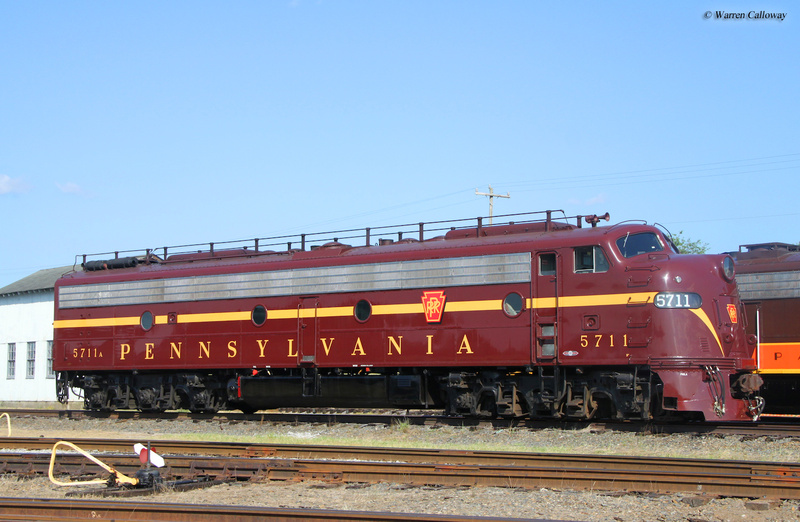 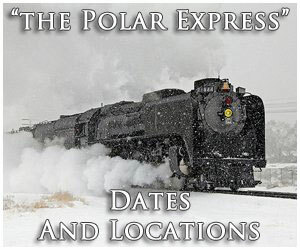 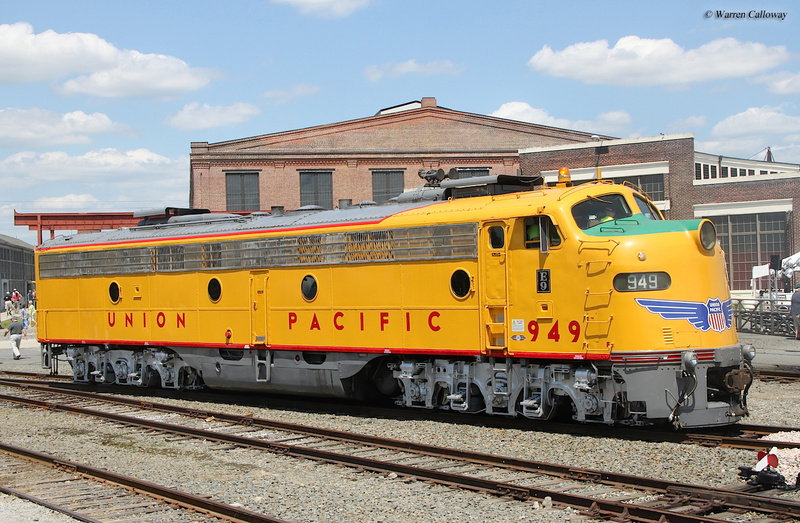 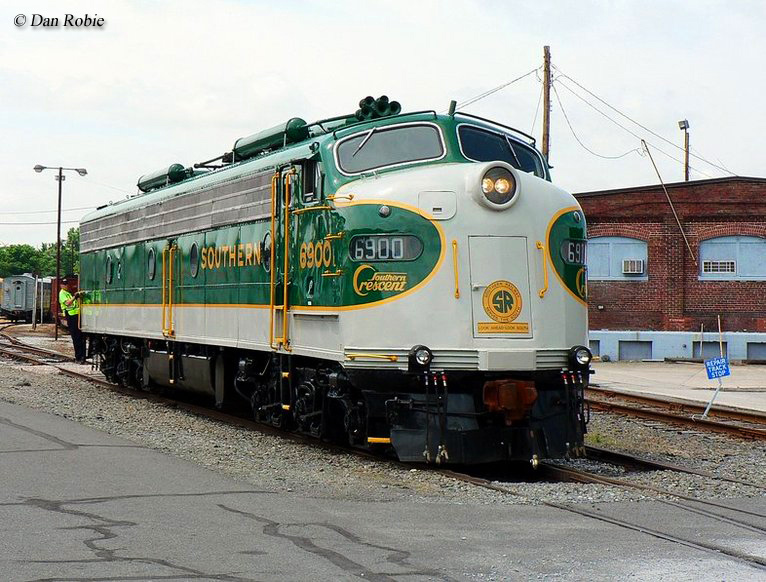 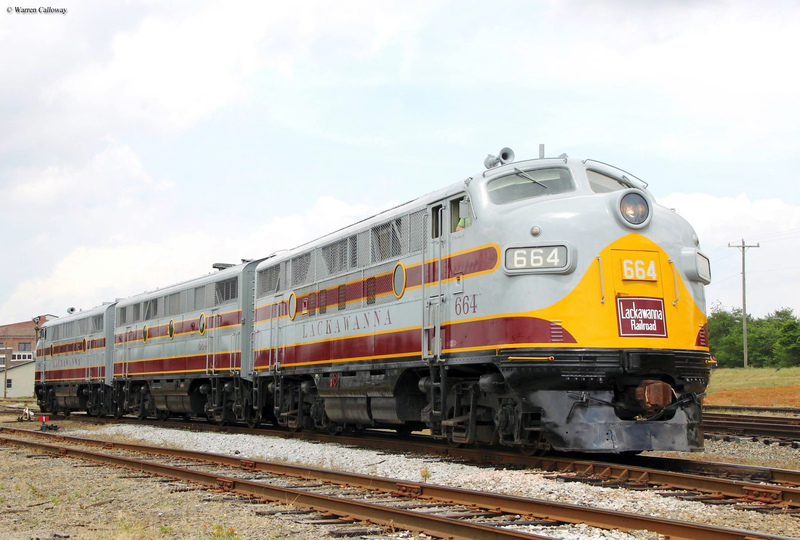 The one-time Streamliners event was held over a single, extended weekend running from May 29 through June 1, 2014. 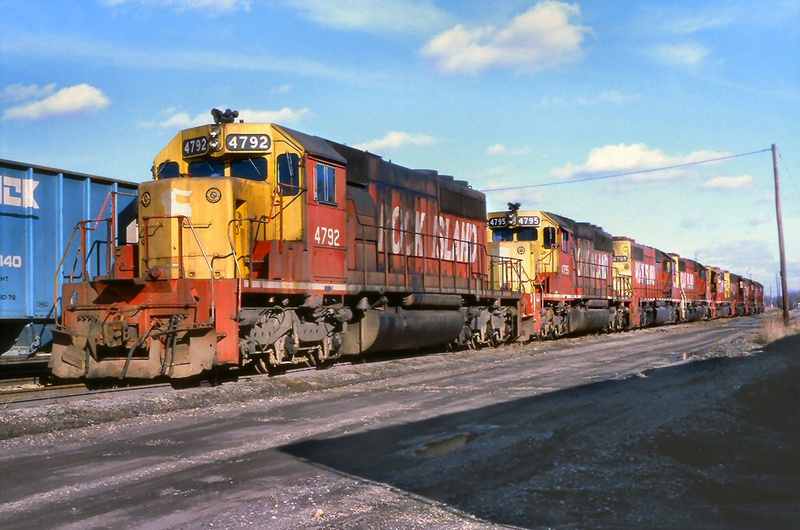 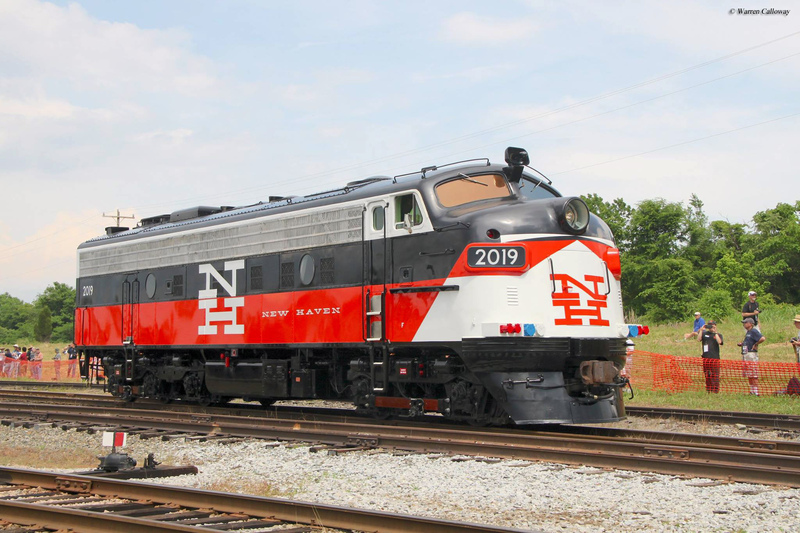 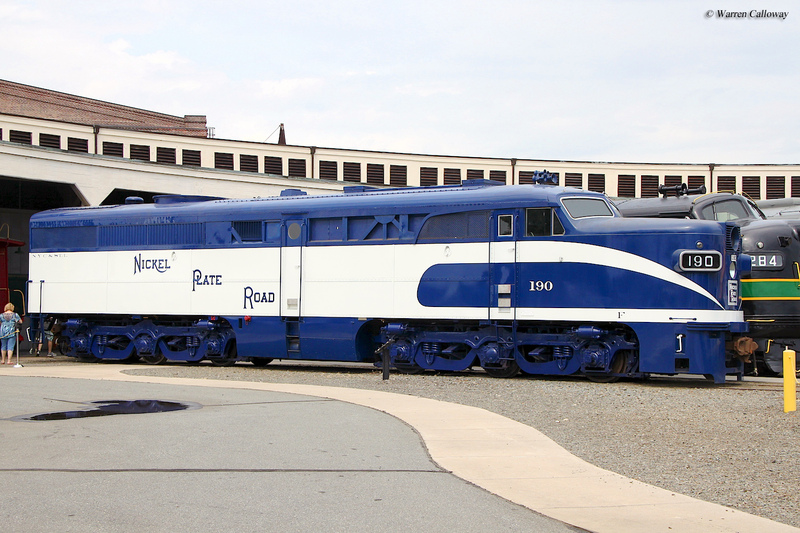 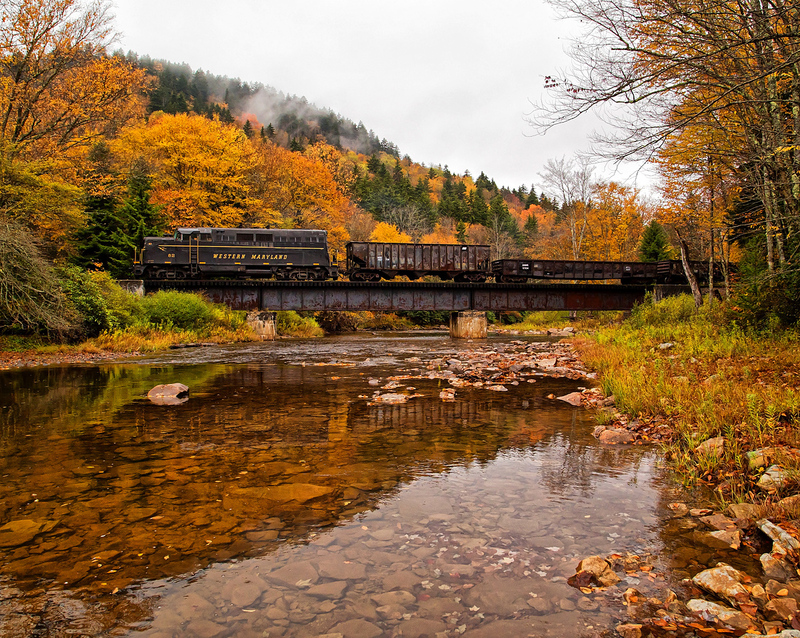 According to NCTM board president Steve Mersch, "Our 2012 Heritage Locomotives Family Portrait gave us the chance to showcase 20 brand new locomotives in historic paint schemes to more than 4,000 rail fans. 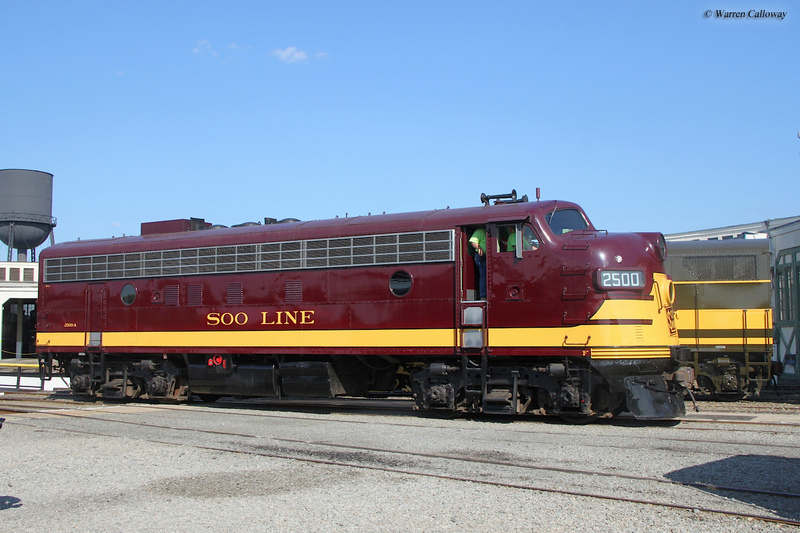 'Streamliners at Spencer; will again provide us with the opportunity to use the unique setting we have with the 1924 Bob Julian Roundhouse and the 57-acre Spencer Shops complex." 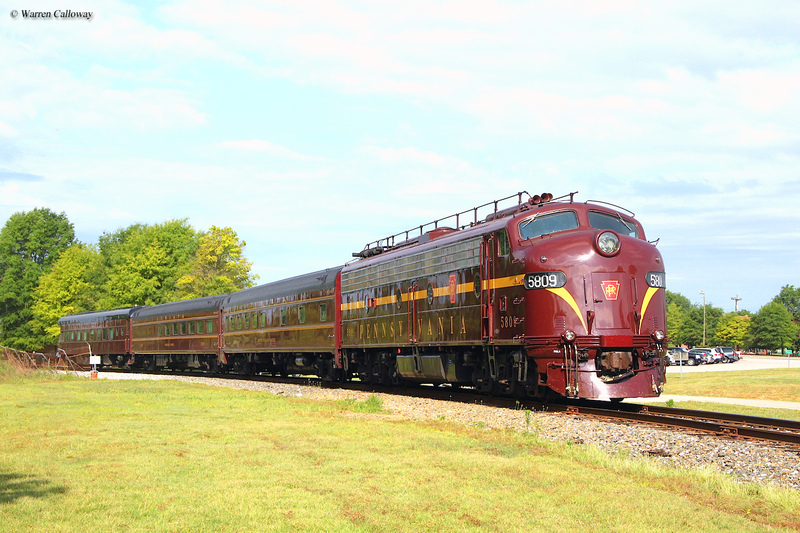 The festivities offered one of the greatest gatherings of historic streamlined diesels at a single location perhaps ever organized and many spoke highly of the event. 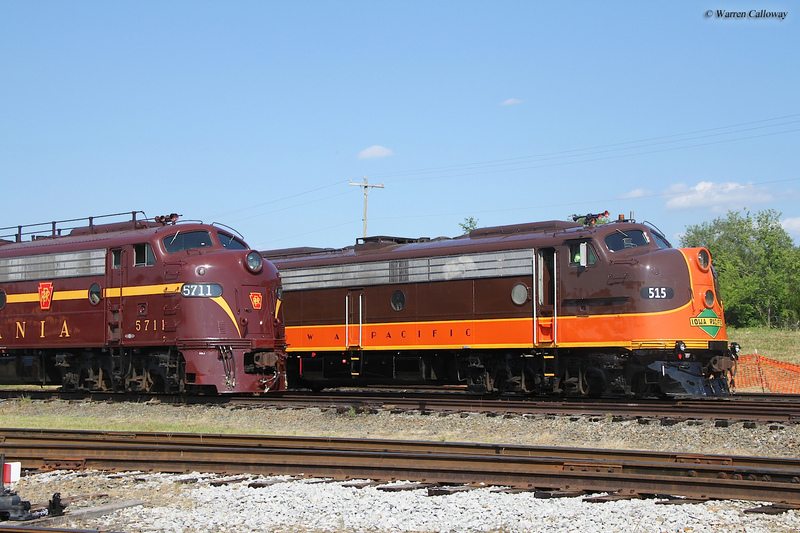 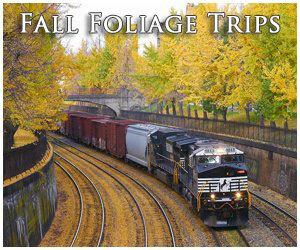 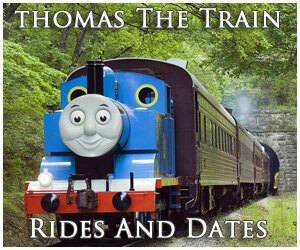 For more information about the Streamliners event please click here. 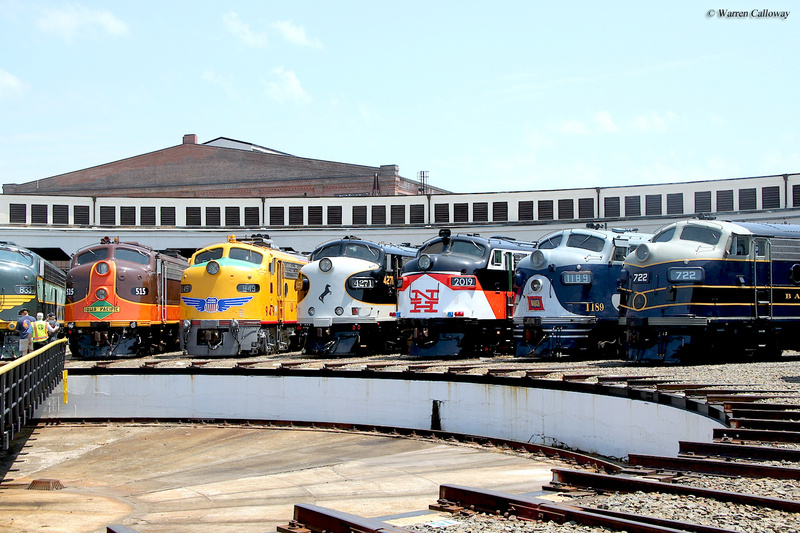 Perhaps the most pressing questions were just how many locomotives would attend. 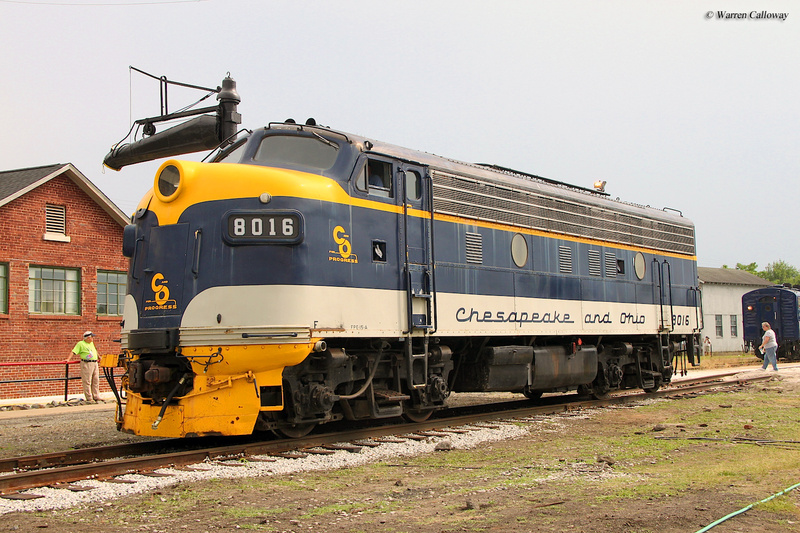 At first, only a handful of locomotives were expected to attend, classy and notable pieces for sure but nothing that truly stood out. 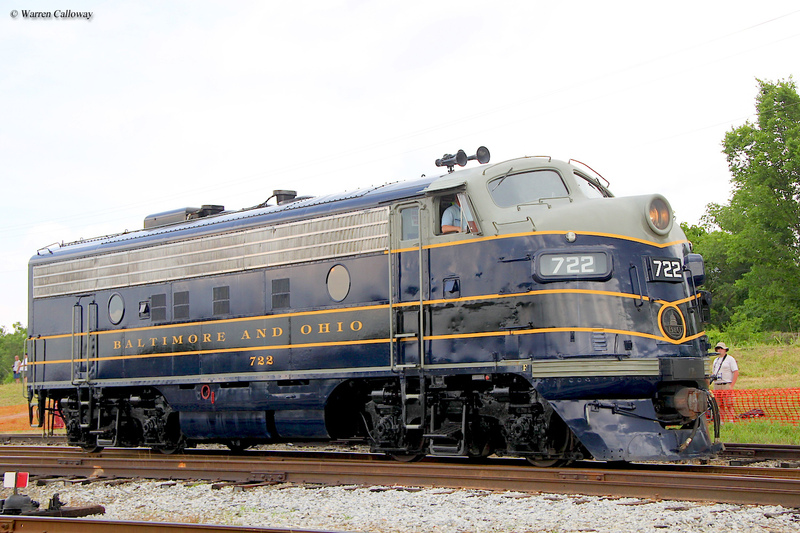 However, that changed in time when several historic pieces were added. 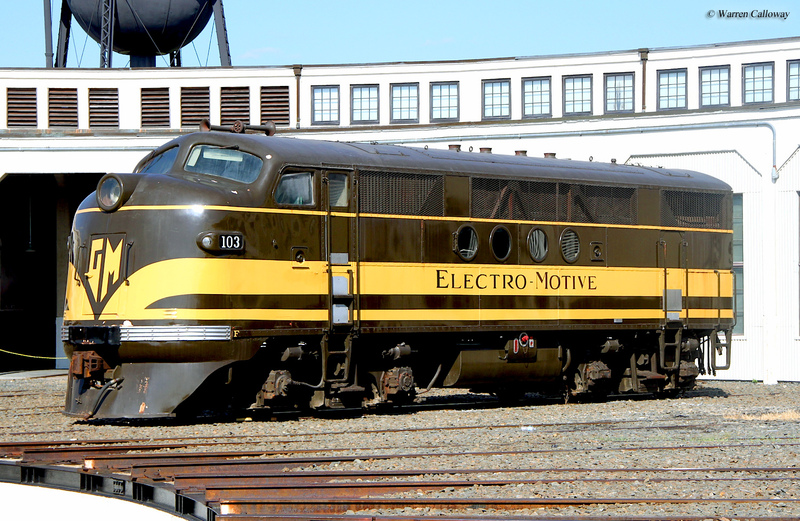 Some other notables that found their way around the Spencer turntable included Union Pacific E9A #949 (from the railroad's official heritage fleet that powers the railroad's business train), Doyle McCormack's Nickel Plate Road PA #190 at Portland (while partially operational this rare locomotive was not yet in service at the time of its attendance), Burlington E5A #9911A "Silver Pilot" at the Illinois Railway Museum, and the surviving A-B set of the original Electro-Motive FT Demonstrators #103. 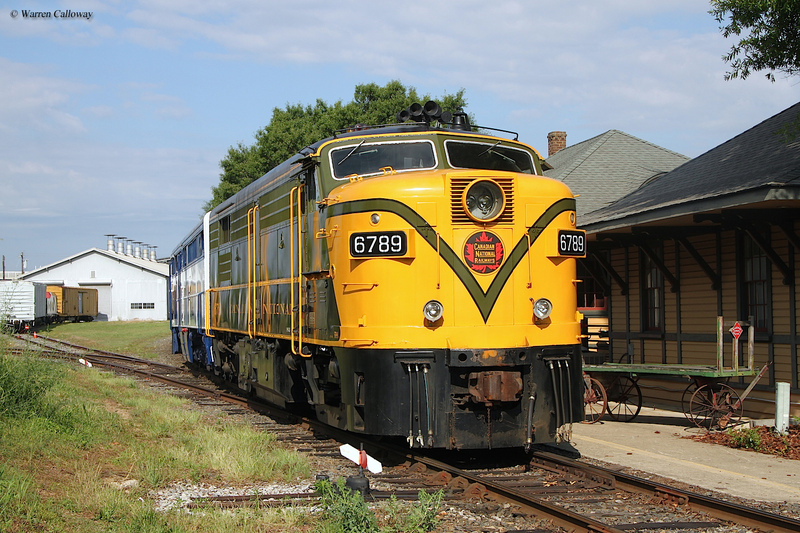 If you are interested in seeing what it was like that weekend in 2014 a DVD/Blue-Ray has been released, highlighting the blockbuster event at Spencer.